Did you take in the solar eclipse yesterday? Were you in an area that had totality? I was far from totality here in Upstate NY and really didn't think about it until a few days prior, so I was not prepared with glasses and a plan. However, a quick viewing of a one minute video was all I needed to make the box viewing thing. 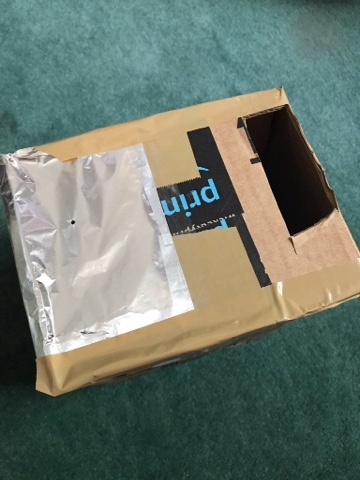 Or...it worked as well as it could have given how cloudy it was for exactly the hour of the eclipse. But I was delighted that two minutes and a few things I already had laying around enabled me to see the sun and moon doing their little dance in the sky. 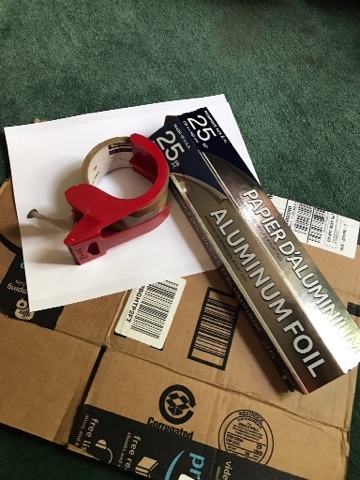 A box, a piece of tin foil, scissors, tape, and a piece of white copy paper were all I needed to make this gem of a creation. Then I stood with the sun behind me and looked through the large cut out at the white paper taped to the backHow of the box. Somehow, magically or scientifically or who really cares, it projected what was happening in the sky on the paper. I'm still tickled that something so simple had such brilliant results. That said, I think I'll try to procure some glasses now for the next eclipse that happens in a few years. It was pretty amazing to watch something that so rarely happens, but even more amazing to see the Nation so excited by science and wonder! 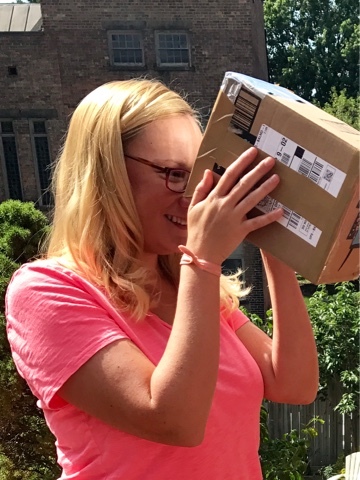 How was your eclipse experience? Did you use glasses or a box or just watch on TV or were you uninterested in the entire ordeal?